Maple City, MI - April 23, 2017 – Northern Pines Farm and trainer Melissa Hirt will host a Diane Carney clinic April 28-30, 2017. Carney, one of the 2016 Maclay Medal Finals judges, will share her keys to success through basics with riders of all levels. Reserve your spot to ride with this top clinician and horsewoman. Spaces are available for novice, intermediate and advanced riders as well as hunters, jumpers, green horses and equitation. The clinic includes flatwork, a variety of gymnastics and Maclay Medal course work. Saturday night features a special question and answer session over dinner with video and and a review of the 2016 Maclay Medal Finals. The cost for the clinic is $625 for all three days with limited stabling available for $50. Auditors are welcome all weekend for $25/day. Don't miss this opportunity to prepare for the 2017 show season with outstanding educator. Carney is planning to take riders on an international trip to Spruce Meadows in July and she will also host the George H. Morris Chicago clinic again for the 32nd year. Northern Pines Farm is a private hunter/jumper facility located in Maple City, Michigan, dedicated to excellence in the training of horse and rider. 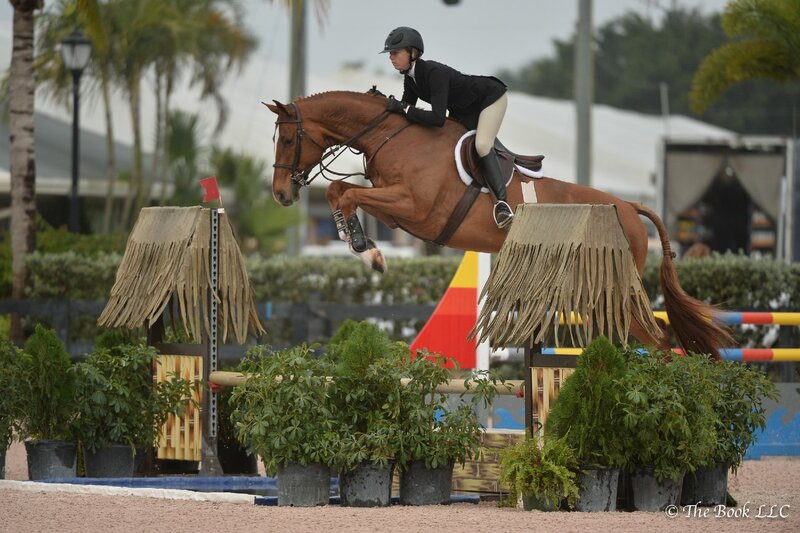 This Includes local shows such as The Great Lakes Equestrian Festival, HJAM, IHJA and other “AA” rated shows including the Winter Equestrian Festival in Wellington, FL. Northern Pines Farm also hosts events with some of the top clinicians in the country. Northern Pines Farm is proud to be the first facility in Michigan to be included as a USHJA Recognized Riding Academy. This listing is for academies that fulfill requirements established by the USHJA and promote a safe, beginner rider introduction for individuals seeking entry into the hunter/jumper discipline. These academies demonstrate the value of education, promote safety of horses and rider and offers hunter/jumper riding lesson though by qualified instructors.